Camp 3.5 mi. 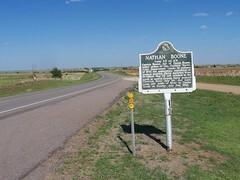 S.W. 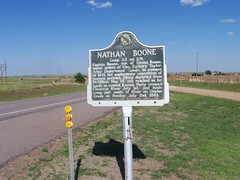 Captain Boone, son of Daniel Boone, under orders of Gen. Zachary Taylor, Army Department Comdr., in summer of 1843 lead exploratory expedition of western prairies. 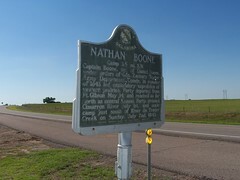 Party departed from Ft. Gibson May 14, and reached as far north as central Kansas. 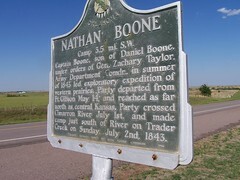 Party crossed Cimarron River July 1st, and made camp just south of River on Trader Creek on Sunday July 2nd, 1843.